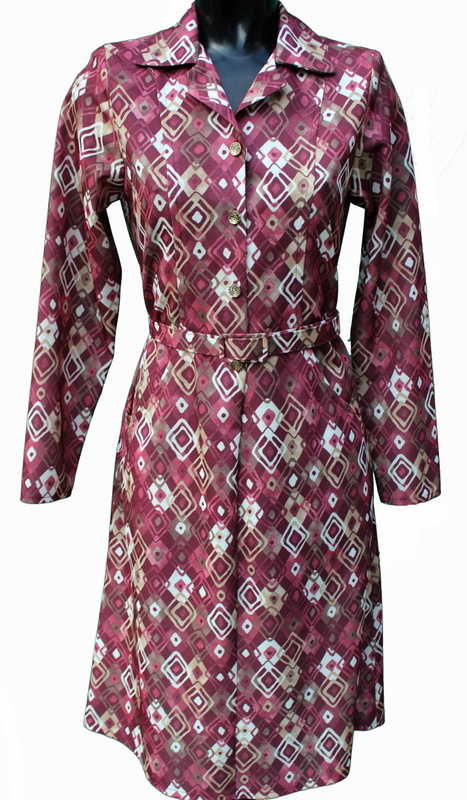 Ladies long Sleeve Dress by Rival in Red abstract pattern 41"
A collared winter weight front button fastening elderly /older Women / Ladies dress designed to ease getting on and off. Adjustable belt around the waist. can be worn without belt also. 100% spun Polyester for easy care. (machine washable , non iron) Two pockets to front panel.